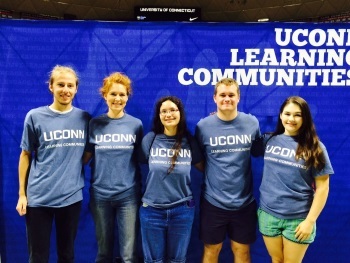 2015 HuskyWOW Learning Community Kickoff, History LC. L-R: Matthew Talley ’19, Heather Parker, Christina Deoss ’19, Ted Piekarz ’18, Sarah Velcofsky ’18. In November 2018, a fund was established by Heather A. Parker, the first staff academic advisor for the History Department, in order to create the Excellence in Historical Writing Award. The award will be presented to an undergraduate History major, from any campus, who has produced an exemplary specimen of historical writing. The recipient will be recognized for a paper that presents a well-researched historical argument with clarity, coherence, and style, and the award will be given at the History Department’s Prize Day celebration at the end of the semester. Inspired by Parker’s donation, the History Department faculty are making a joint contribution. Alumni and friends will be able to contribute to the Parker Award in Historical Writing fund during UConn Gives, the University’s 36-hour giving initiative, on March 27-28, 2019. Mark your calendars and find out more at: https://givingday.uconn.edu. Nearly twenty years ago, Congress launched the Veterans History Project, an ambitious effort coordinated by the Library of Congress and run through local centers to gather the oral histories of US veterans. 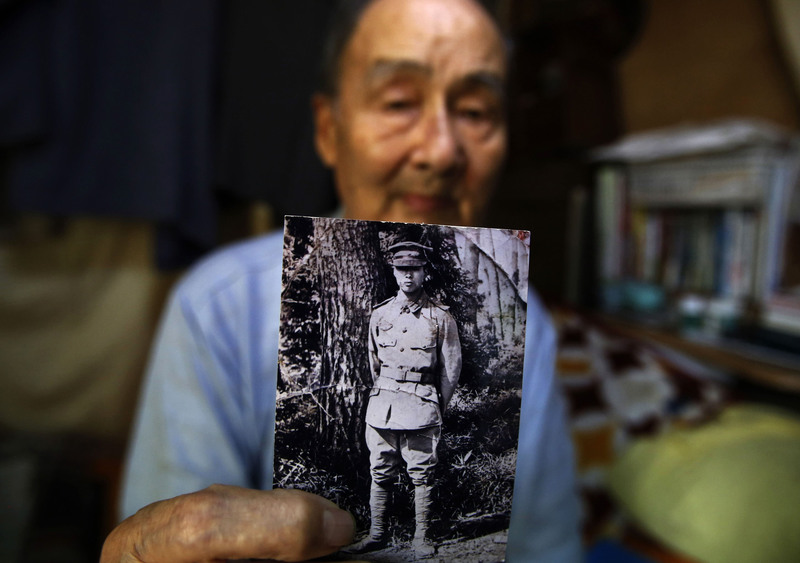 Starting this spring, UConn is joining the work, aiming to reach and record a wide range of veterans across New England as they tell their stories. The Veterans History Project at UConn is a joint endeavor of the Department of History and Veterans Affairs and Military Programs. Anyone who’s willing to do the training can become an interviewer. For UConn students, there is an opportunity, starting this spring and continuing in the coming years, to earn internship credits while working as an interviewer, gathering important stories and developing useful skills. On Monday, March 4, we will be kicking off the new program with a public event at Werth Hall. There will be breakfast and lunch for attendees, as well as parking validation for those coming from off-campus. 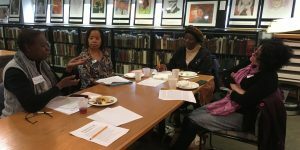 The morning will begin with introductions to the project and discussion of the value of stories and the importance of oral history. It will continue after lunch with free training for anyone interested in becoming an interviewer for the project. Professor Fiona Vernal will be speaking at the event and coordinating the internship, together with Heather Parker. Feel free to contact them with any questions at Fiona.vernal@uconn.edu or heather.parker@uconn.edu. More details can be found here. UPDATE: For The Daily Campus‘s review of the panel, click here. 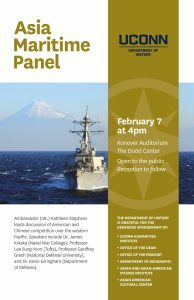 On February 7, 2019, the UConn Department of History invites you to join a panel of leading experts in a timely discussion surrounding the seas of Northeast and Southeast Asia. Moderated by Ambassador (ret.) Kathleen Stephens who served as the U.S. Ambassador to the Republic of Korea from 2008-2011, the panel features distinguished speakers with specializations in security, history, law, and geography. 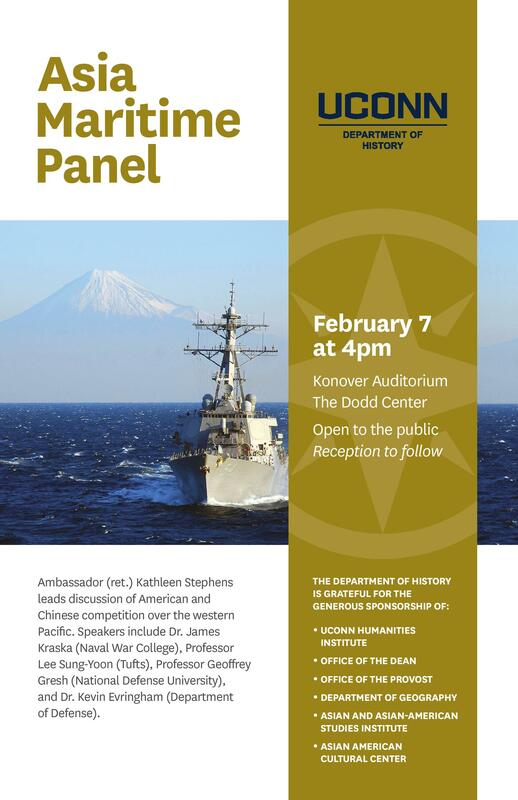 Topics to discuss include: strategic and international law issues involving American and Chinese competition over the western Pacific, humanitarian concerns related to human trafficking, and troubling environmental problems, such as the depletion of fisheries. Speakers and moderator include: Ambassador (ret.) Kathleen Stephens (CEO of Korea Economic Institute of America), Dr. James Kraska (Naval War College), Professor Lee Sung-Yoon (Tufts University), Professor Geoffrey Gresh (National Defense University), and Dr. Kevin Evringham (Department of Defense). The University of Connecticut Department of History is grateful for the generous sponsorship of the CLAS Humanities Institute, the Office of the Dean, the Office of the Provost, the Department of Geography, the Asian and Asian-American Studies Institute, and the Asian American Cultural Center.